As I visited my friend Sylvia’s church on Sunday, I took notes as Pastor Gene Smith, Church of God in Selma, California ministered. 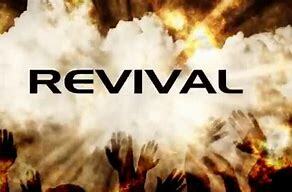 Revival is not always at “church.” This is the gospel of Love, and the body of Christ extends all over the world. The center of things must take place in Jerusalem before Christ returns. Prophesy is coming to pass and people are being stirred up. We are in the last days. Jewish people will turn to the Lord as Zachariah prophesied. Fear is everywhere. Some people do not read the Bible or they would see how important Jerusalem is. The country belongs to Israel and not to the Palestinians. Jesus must be lifted up for people to believe. Keep ready so as to not miss the rapture. Isaiah 57 reminds us to take courage and to revive the spirit of our heart. Don’t be satisfied with things as they are, but reach out for more. I must touch Jesus and plant my feet on higher ground. I will take this mountain. God views “success” differently than we do. Some ministers have large crowds but does their message change the people and is their walk different? We can’t do a lot about the things happening in this world, except to pray. We are all different, and we are all human beings. We can have church as usual, with worship, special music and a nice message, but we must allow the Holy Spirit to do a work in and through us. Let us stand on the Word and know that we know that we know. The reality is we do not know what tomorrow holds, but we can safely place our trust in Jesus for He is the solid rock.